It has been a while now that some of my friends have stated, “Cathy, you need a greenhouse.” I’m not sure why it has taken me so long to get one. I do own a few of those little hobby greenhouses, which by the way, have actually worked out nicely for transitioning small plants from the growers’ big greenhouses to my location, especially for small succulents or baby herbs, in early spring. I line up the little portable greenhouses on my driveway. The heat from the pavement provides a nice warming situation and they are easy to reach with my hose. They are cheap and easy to carry from the garage every spring, so they’ve worked during the interim. I have the perfect backyard for a larger “real” greenhouse. So, why haven’t I gotten one? 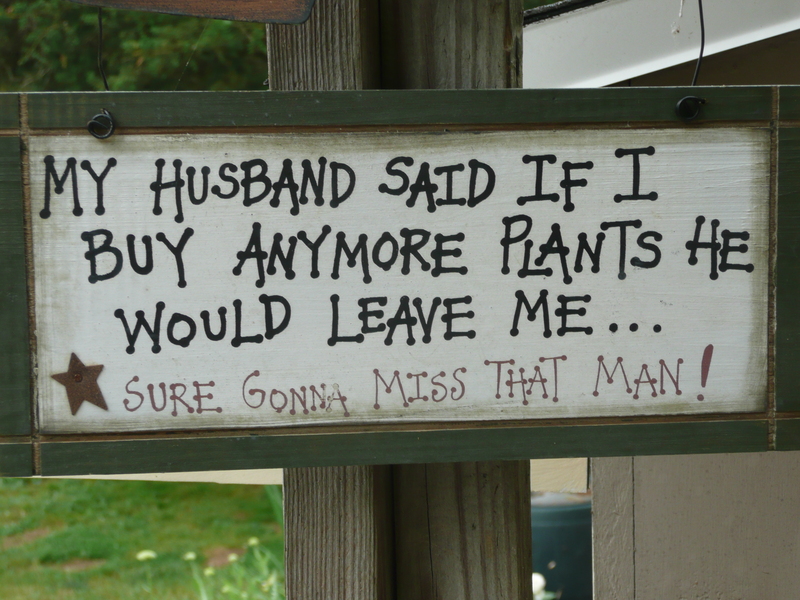 Perhaps it is the fear of success – or having a greenhouse would provide me an avenue to get “even more” plants. And this scares me, just a tad. 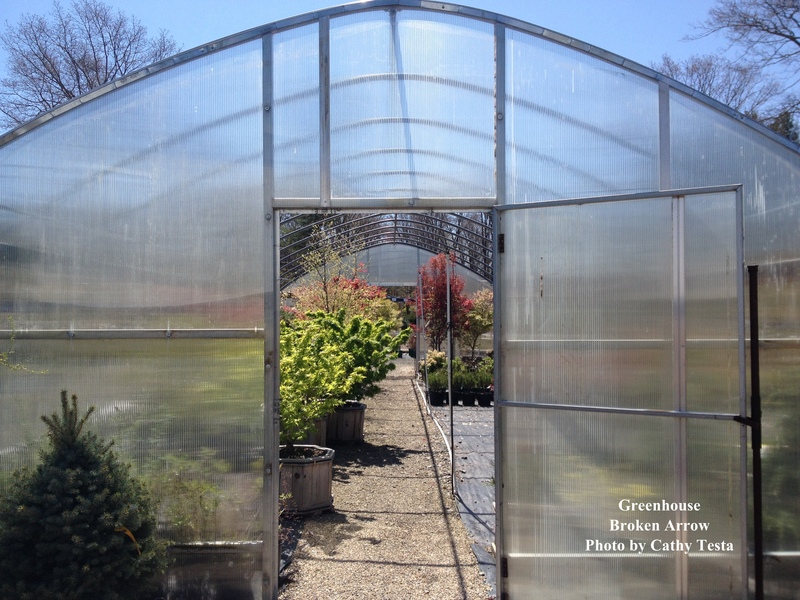 A hoop house is one on the consideration’s list – however, we had some nasty winter storms here in CT where many folks’ greenhouses collapsed from the snow’s heavy weight. Perhaps, a hoop house with the covering is not the way to go. They are less expensive and somewhat easy to install, and useful, but have that chance of collapsing in winter. I’m actually lucky I didn’t put one up because we had some heavy duty storms the past couple winters. 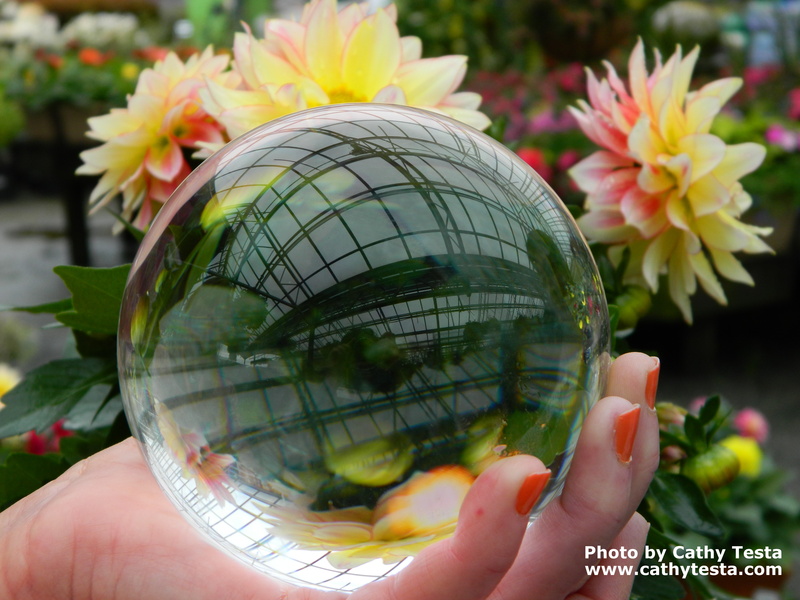 So, in the usual, Cathy T fashion I began daydreaming about choices of greenhouse styles. I started a board on Pinterest of greenhouse photos. So many unique and fun styles were discovered. Some with colored glass, a bit artsy, others grand enough to make you sulk, for they were large and beautiful. Did this process help come to a conclusion on which greenhouse to get? Nope, this just confused me some more. Think of it this way, if you loved sports cars, and wanted to get just the right one, wouldn’ t you take some time to consider all the options? It is so tempting to get a really exciting sports car, but then again – do you really need one or that one in particular? I even had a guy come to my house from a garden show booth selling greenhouses. As he was going over what he was selling, I asked many questions but my gut said nope, this is not type of greenhouse I want-even though-he offered to have it installed as a showcase since he lived and worked nearby. Perhaps an offer more beneficial to him than me. But it just seemed too small, and he didn’t really understand the hort side of my goals. But he was doing his best. I need large, tall space for my favorite tropicals. Another task I did to pursue my goal was order the Hartley book. You know the one, they showcase the finest greenhouse ads in various gardening magazines. Each are stunningly beautiful, and a fairy tale style dream of gorgeous greenhouses. There is one ad in particular that stuck out in my mind. 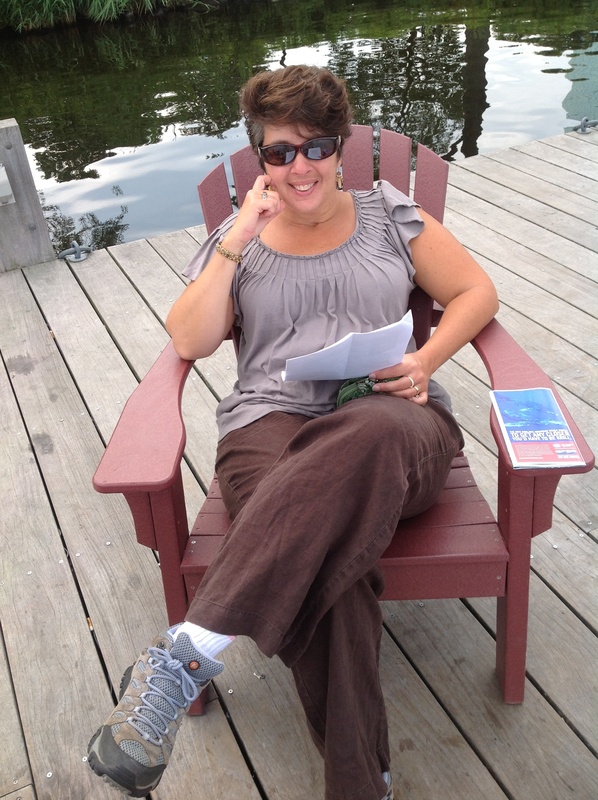 It’s of a woman, sitting on a cozy chair in the corner of her Hartley greenhouse with her dog at her side. Her hiking boots (the type I prefer on my feet) are covered with some mud, and there are some plants around her, of course. The view of the backyard through the greenhouse window panes does not show a perfect garden view. It’s a little blurry, but her yard is more like a meadow, with tall weeds, perhaps, but the point is, it doesn’t depict a pristine flowering garden view, and I liked that because the greenhouse is perfect, but her gardens are not. She has a big pot of lavender on the other side of her. Ah, yes, I think as I look at this photo, that could be me. I would go sit in this greenhouse with my cats every chance I got, and especially, in the winter when the sun comes out for some extra Vitamin D. As I flipped through the pages of this Hartley catalog showing and describing the various style of their finest luxurious greenhouses, I kind of cursed myself for getting the catalog. The cheapest greenhouse on their list is $20,000. When Hartley called me as a followup, they understood my words. Love, love them, but not sure I can do. Click HERE to see their website and what I’m talking about. Anyhow, Mr. Avent’s book is excellent and a great resource. I saw him speak once, he’s very funny and open with his knowledge. If I lived near his business, attending his tours and workshops would be a priority. A dream would be to work for his business. I bet he has a great deal of greenhouses!! Another thought I had, because I have almost 6 acres, and it is classified as farm A-1 (I think that is the code), is to buy two or three smaller style greenhouses and set them up in different exposures. Like a shade house here, a full on sun house there, and then who knows what – but the dream is how interesting that would be, different paths could go to each house, each could have a theme or shape (round green house? ), and it also could provide a quarantine place for any problem plants. Some may argue this is silly – a bigger house is better, more space, easier to maintain the plants, and all that jazz – but I still like this idea, for it would create an environment more fun to play in. As I type this – I think about the nursery in Rhode Island called, “Umbrella Factory.” It is setup with various hoop houses, and they are all different, one has a pond inside of it, the other has plants lined out, and another is more like a retail world – around all are huge container gardens which I lust over when I have gone to this nursery, which I stumbled upon when I was in town to visit the beach. You can sense their various greenhouses evolved probably over time, starting with one here, then adding another there. It is a unique and charming place to visit – and they have lots of big tropical plants, gigantic hanging baskets, container gardens setup high on pillars, and more. Yup, this is another “dream” situation for me. But so far, that’s all I managed to get done–the reading and some research with lots of daydreaming…and I also finally mowed down an old rundown garden area where a or one of my greenhouses would go. The art of procrastination with other spring and summer priorities took over. Oh and another friend gave me a contact for where he got his attached greenhouse. I ordered the catalog. My friend admitted he paid bookoo bucks, but somehow, I sensed he’s never regretted it. He offered a tour which I’ve yet to schedule. What is my problem? Am I afraid his greenhouse will make me get one just as nice? Well, summer came along, design jobs kept me busy here and there, and I truly enjoyed taking time to have some fun this season — and now it is the end of August. Right. I didn’t pick out my greenhouse yet. Missing the target goal. As I had lunch with a hort friend yesterday, confessing I do not know why I haven’t reached this goal, her feeling is I must have some other more important goal lurking. Or maybe it is me lurking, as in procrastinating. Guess it will have to just wait, as I continue my research, and rethinking of goals.